+1!! Happy New Years btw! Hello Paul. First I want to say nice home and Aquarium. Where did you purchase the container for your 2 part liquids? @pmrogers I think we're due for an update!!! Great to follow your story! This is one magnificent tank build. Hope it is still going strong. I'm beginning the think the Slow S in SSS might be so slow you lose your RC credentials... if you still have your tank, how about an update? Paul spends most of his days in New York now instead of Austin. I think he mentioned it in his last post. The tank is basically in stasis for now until he resumes his time in Austin again in the next couple of years. I was over there with a buddy last time he was in town and corals seemed happier and his magnifica anemone is gigantic. His fish looked super healthy and everything is still running like a dream. I'm sure he'll post again once he resumes his normal life again. 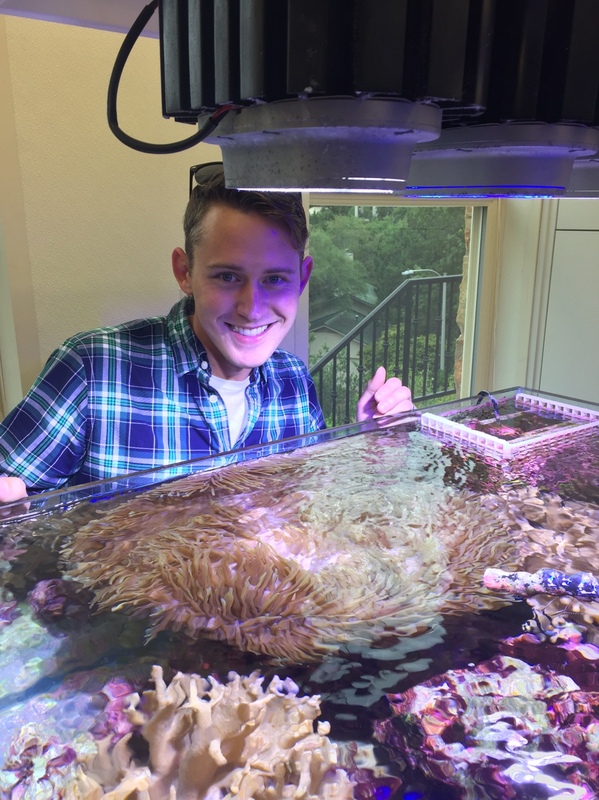 Speaking of giant magnifica anemone, probably the biggest in Austin! It would be nice to see how things have progressed with this system.